Ultrasonic Cool Mist Humidifiers are designed to provide moisture in the assistance of respiratory relief that is often associated with dry coughs, sinus irritations, cold symptoms and other associated concerns in the relief of respiratory distress. 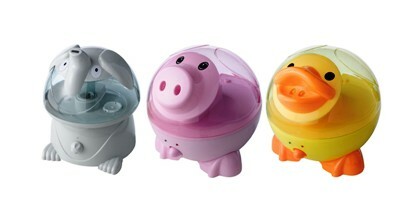 Whisper quiet operation, and a child friendly design are ideal for young children. Operating for up to 10-12 hours, the cool mist humidifer has a safety auto-shutoff feature when the reservoir tank is empty.